Beyer Carpet Cleaning San Antonio is the most professional carpet cleaning in San Antonio. We are committed to making our customers happy and we are committed to providing the best quality carpet cleaning. In most cases you can call us within 24hours to schedule your appointment. We will also work with your schedule. Don’t get out of work until 5pm no problem we can schedule your carpet cleaning for 6pm. We are here to what we can for our carpet cleaning customers. Most carpet cleaners in San Antonio will not honor your time slot and not show up or cancel on you but with Beyer Carpet Cleaning San Antonio we make it a priority to call our customers to let them know if we are on rout to your home or if we will be running late. If we are running late we will still show up even if it’s 8pm. When we say we’ll be there we’ll be there for you! We are not only committed to our carpet cleaning San Antonio but also to our tile and grout cleaning, upholstery cleaning and any other job you call us to do. 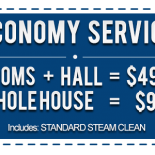 Having a professional carpet cleaning in San Antonio does not have to be a headache or a hassle. When you call we do not lie or keep info from our customers when they ask us questions about the service we provide. We are up front and honest workers. We are the most professional carpet cleaning in San Antonio because when we arrive the story doesn’t change and there are no hidden fees. We charge what we say we are going to charge and do the work we say we are going to do. Beyer Carpet Cleaning San Antonio is here for you and the best interest of our customer. 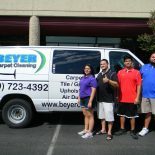 If you want a professional carpet cleaning in San Antonio you won’t be disappointed when you call Beyer Carpet Cleaning.